Choosing your flooring can be a tough decision. But one option is becoming more and more popular and it probably isn't an option you've seriously considered: cement. Why are designers and homeowners fawning over this material all of the sudden? Why, because its stylish, simple, durable, and so much more! Don't believe us? Then let's look at some great rooms with cement flooring to discover exactly how this material measures up. The golden child of flooring is certainly self-leveling cement. It can easily fix all kinds of structural issues that you'll find in older homes, like slopes or holes in the floor. Plus, when finished the floor combines perfectly with modern furnishings. Cement is relatively inexpensive, making it a stellar option for whole-home remodels where you're updating the style significantly. Though self-leveling cement sounds like it could be a DIY option, you'll want to check with an architect to find out if the house can handle the weight of a cement floor. Plus, the cement usually requires chemical primers and if you make a mistake it is a huge expense to get it removed. All of this means you'll want to hire a flooring expert to make sure it's done correctly. They shouldn't cost too much, as self-leveling cement dries in a single day. So, you get a smooth and ultra straight floor at a great price! Is there another flooring that has no texture and is completely neutral? Not that we've heard of! 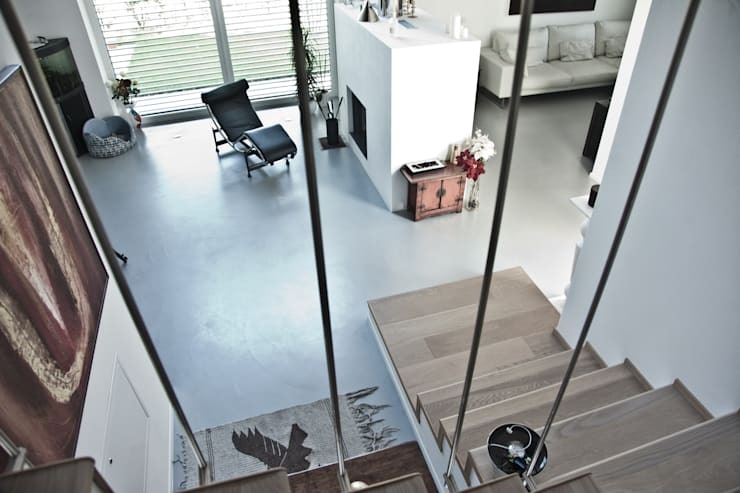 Homes of all kinds of funky styles can make use of the versatility of concrete flooring. Here the interior designers have paired a textured green couch with blue accents, amazing Asian-inspired art, and wooden furniture. 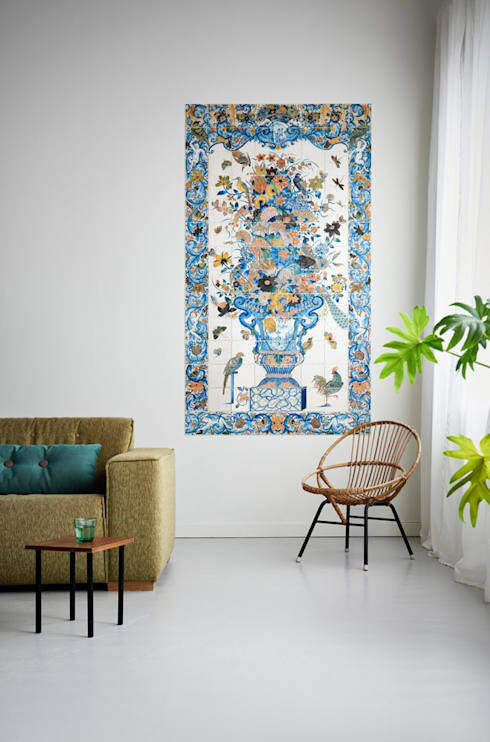 All of these elements would be too busy on a carpet, and they're clash with wooden flooring. 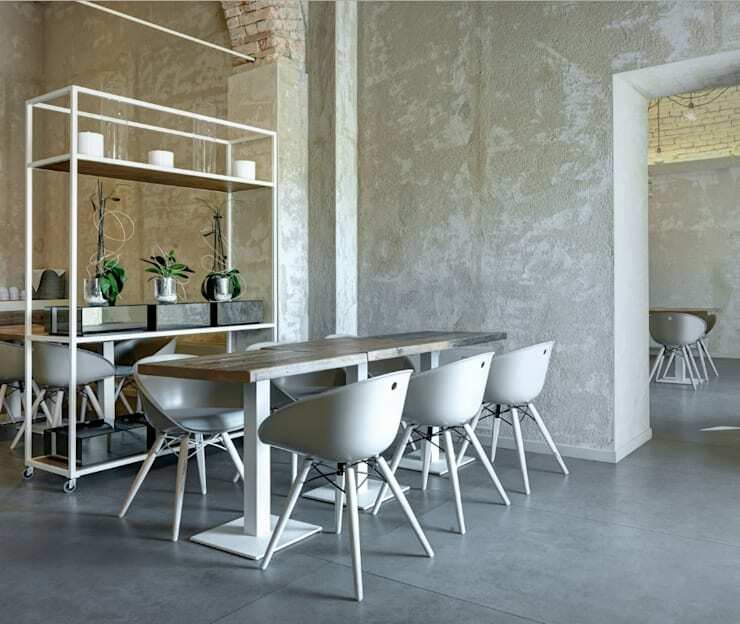 Instead, the cement floor offers a true neutral that can macth gray walls and keep our focus on some amazing decor. Dining rooms and kitchens are popular spaces to use cement flooring, because the flooring in these rooms take such a beating. Spills are harmless on cement, it can't be stained. You can't scratch cement floor by dragging chairs along it. You don't need to vacuum a cement floor and it won't hold smells. 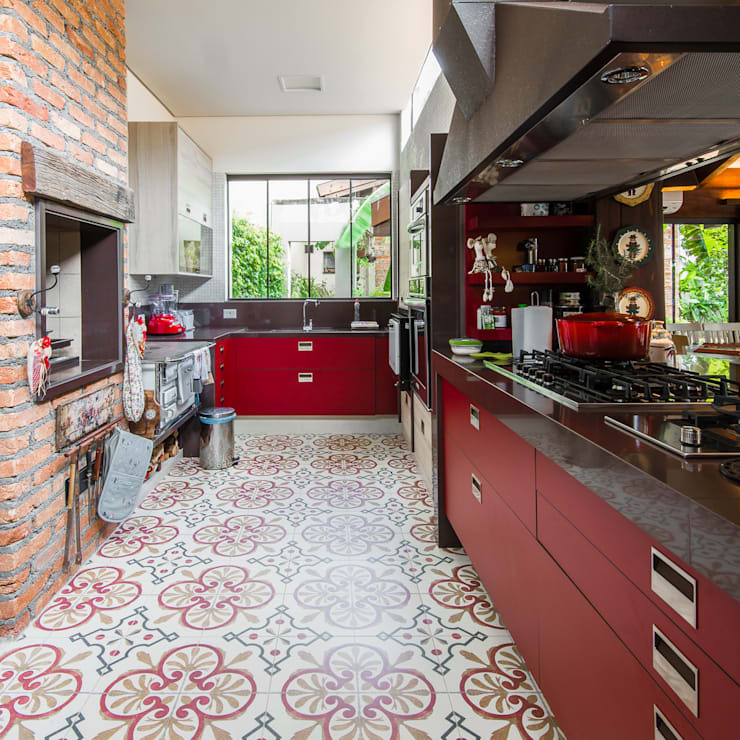 You do need to treat some cement floors, but not nearly as often as you need to treat wooden surfaces, especially those in the kitchen. Besides, the colour of the cement floor never fades or changes. 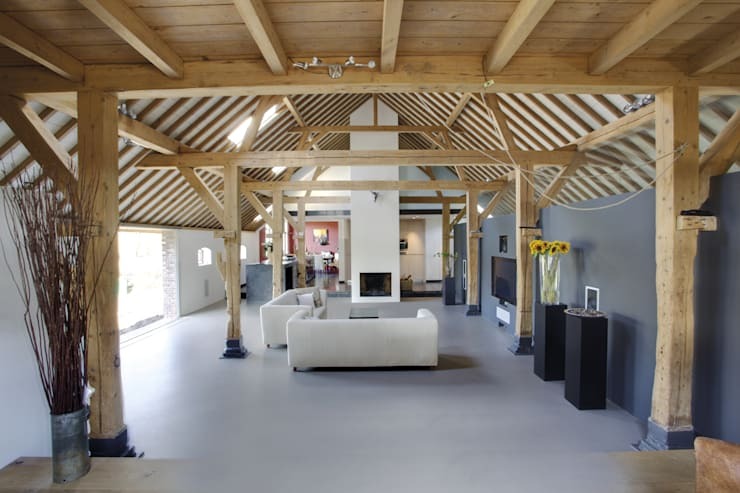 Overall, cement flooring is the most durable of any material you can use. The smooth surface of cement flooring is light-reflective. See how bright the flooring is on the right, by the door? This is often an underappreciated characteristic of cement, which people think of as dull like sidewalks. 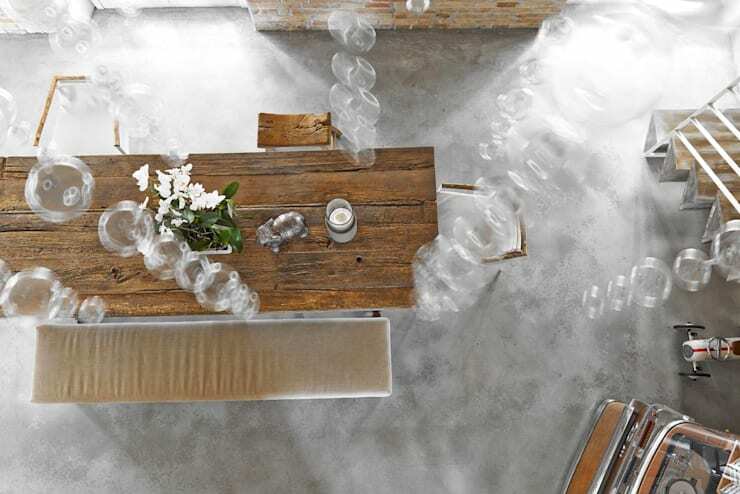 Instead, cement flooring can help tor bring in the light to a room, expanding it's size and making it look fresh. In warmer climates we're sure that homeowners appreciate the cool touch of cement flooring. But in Canada, we're sure that the always-cool cement is not going to be suitable year-round. That's where rugs come into the picture. These comfortable flooring options are great for experimentation, they're cheap enough that you could have a rug for every season! 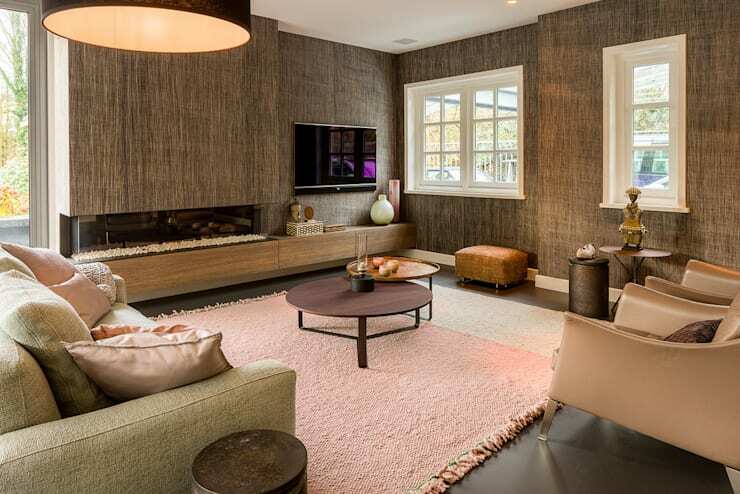 Plus, the neutral palette of your cement floor allows for any kind of rug style you want, even this precious pink! This bold and beautiful home has some more natural rug options on its cement floor to inspire you! Sometimes you want the durability and leveling properties of cement, but you also want to throw some colour on your floor. The good news is, you can have both! Many people put tile on top of cement floor to get some fantastic patterns, that are level and secure from movement. Looking for more unusual materials? How about this thatch roof? It blends perfectly with the modern home beneath it! Which room do you think worked best with its cement floor? Let us know why in the comments!